Welcome to Bournemouth IT Solutions Ltd. BITS is an established and recognised company since 2010. 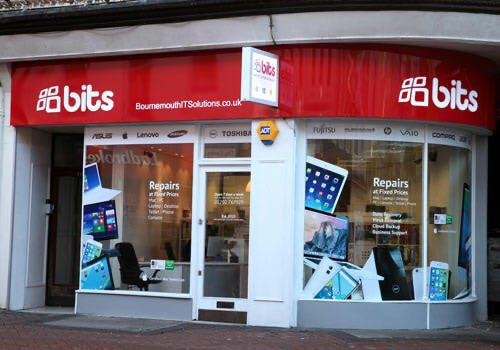 Our shop is centrally located in Bournemouth town centre: the company is dedicated to providing the most efficient and reliable Apple Mac, laptop and PC repair service in the area – we excel at what we do. 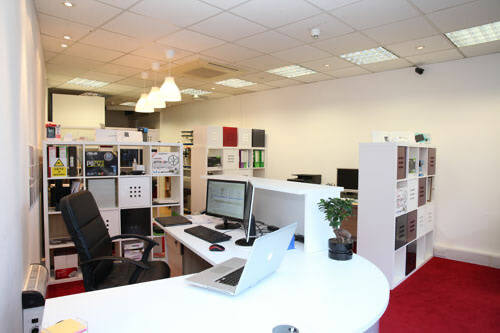 Our company’s aim is to offer an exceptional service: fixed no-nonsense pricing, free collection and return of your computer and the free loan of a laptop for the duration of the repair. We differ from many other laptop and pc repair companies as we deal with you honestly and directly. We offer straightforward and clear pricing for repairs performed to the highest quality, and as a result: the number of complaints is near zero. We are pleased to work in conjunction with Bournemouth University and Arts University Bournemouth as their approved computer repair specialist. We are also a registered Microsoft Refurbisher. We do not use ‘technical jargon’, instead we outline the best and most cost effective way of repairing your computer, so that you will be in no doubt about exactly what you will be paying for. Our history of satisfied customers is proof that you can choose us to repair your computer with total confidence. When you contact BITS you will be dealing with friendly, personable and patient engineers who have many years of experience in dealing with every kind of hardware and software issue, covering a wide range of makes and models of Apple Macs, laptops and PCs. Our ethos is one of honesty and professionalism with the sole aim to solve all your hardware and software troubles, at affordable fixed prices and to have happy and satisfied customers, who will return to use our services again in the future. We are a full member of the Federation of Small Businesses (FSB). Fixed price repair, free Pick up and delivery,Where's the catch? Well, there isn't one, perfect well priced professional service. Perfect! Thank you.